Christians in Context: from orthodoxy to orthopraxy. 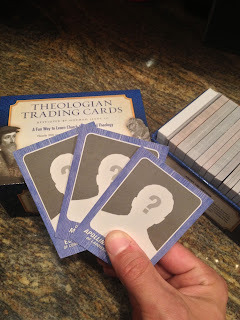 : Theologian Trading Cards: What's Up With The Question Mark?! Theologian Trading Cards: What's Up With The Question Mark?! So Theologian Trading Cards finally came out on the 20th (Yay! ), and there has been a lot of enthusiasm about the sheer geeky-ridiculousness of the concept. Overall, initial reactions have been incredibly encouraging. At the same time, as a new author I have to confess that its been a little nerve-racking to wonder what sort of reviews the cards will receive; will people enjoy the set? Will people appreciate both the humor and the learning intent? What aspects of the set will be critiqued? Now, I have reviewed a lot of books since Christians in Context was launched five years ago, and I will definitely say that its different to be on the receiving end of a review. If anything, this will certainly change the way I evaluate the work of others. "Could you explain the cards that contain no image, but instead have a question mark in the image spot? Finding images for all of the individuals in the set was a daunting task, even with an individual assigned by the publisher to assist exclusively with that piece of the project. In a number of cases, we were simply not able to find an image that could be used for the card. There were several reasons for this: in some cases it was simply a case where no image existed. This was true for some of the heretics in the very earliest era of church: People made images celebrating the lives of those who made tremendous contributions to the church, but they weren’t necessarily creating art featuring heretics. 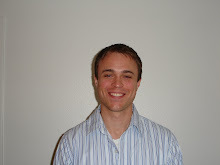 In some cases there may have been an image that existed, but perhaps not in a high enough resolution to be used. In other cases we might not have been able to acquire rights to use an image. Nevertheless, we needed to have something on the card that communicated our dilemma in some form. It was actually the silhouette one commonly sees in social media profiles when someone has not included an image of themselves that first inspired the current design. Perhaps there’s an art contest in our future to see what readers might envision as fun renditions of individuals who lack that artistic image on the front?" Now with all of this in mind, I also had to decide first, did I either want to eliminate a few of the figures from the set, or did I feel that retaining the cards for the sake of the learning intent was worth it? I chose the latter; I just really felt that while I wanted the set to be fun and novel, I also knew the learning intent underlying the entertainment value was crucial. As I mentioned early on in the post, this was one of those instances where creative vision met the constraints of practical reality. Perhaps some original art pieces in a second edition (if the publisher decides this is prudent in the future) will refine the concept a bit more! If you have a set already, please tell me what you think.